The Obama administration has had a rough go with their attempts to make America more “green” over the past few years. After the notable failures of Solyndra, Ecotality, and Fiskar, one would think maybe the government shouldn't be pouring more dollars down this eco-money pit, right? Wrong. Cue ethanol, which is another environmental boondoggle. This is a mess so big that environmentalists and big oil have found a rare spot of common ground to fight Renewable Fuel Standards (RFS). Obama started the push for ethanol ahead of the 2007 Iowa Caucuses and his first bid for the White House. RFS’ mean a larger market for corn, which of course is grown in states like Iowa. But propping up markets with policy proposals that line the pockets of lobbyists can also have consequences far more reaching than just adding more debt. A new AP article digs into “The Secret, Dirty Cost of Obama’s Green Power Push.” It points out that his green initiatives have done more harm than good to our economy and our environment. More than 5 million acres of land set aside for conservation is now gone. Air and water studies? They were skipped, even though required by law. The use of nitrogen fertilizer used by corn farmers was increased by more than 1 billion pounds between 2005 and 2010, and this has left a dead zone on the sea floor in the Gulf of Mexico the size of Connecticut. 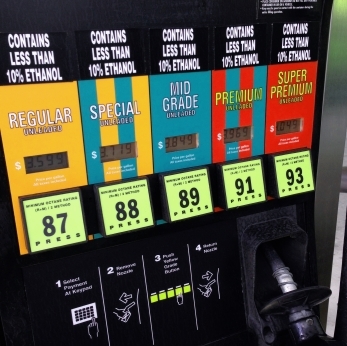 This means that “the consequences are so severe that environmentalists and many scientists have now rejected corn-based ethanol as bad environmental policy.” That’s right, it was created to make America more “green,” but it has done just the opposite. Meanwhile, this has driven up food prices around the country. If refineries can’t significantly increase their ability to meet ethanol mandates, they will be fined, causing gas prices to rise yet again. Can the average American afford to spend more on food and gasoline in this economy? Doubtful. So doubtful, in fact, that even Move On has a petition against ethanol on both economic and ecological grounds. Move On and big oil in agreement? Environmentalists and big oil in agreement? Clearly this is bad policy all around. Getting rid of this mandate is one of the (very) few things on which this groups agree. When everyone hates a policy, maybe it’s time to let it go.